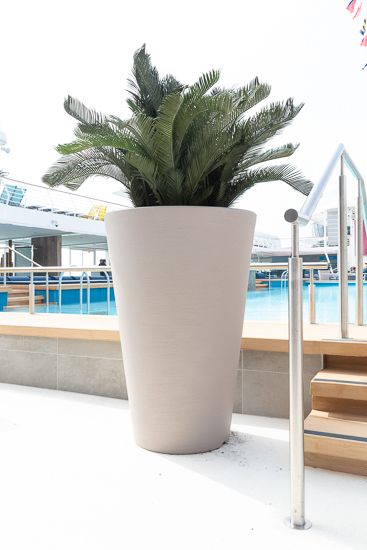 DAUERFLORA worked with architects to conceptualise the plant design for all TUI Cruise ships, which it subsequently implemented. 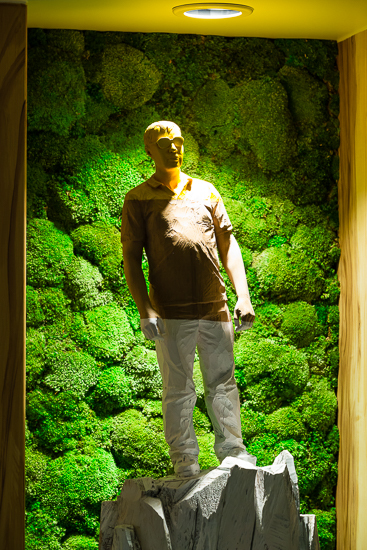 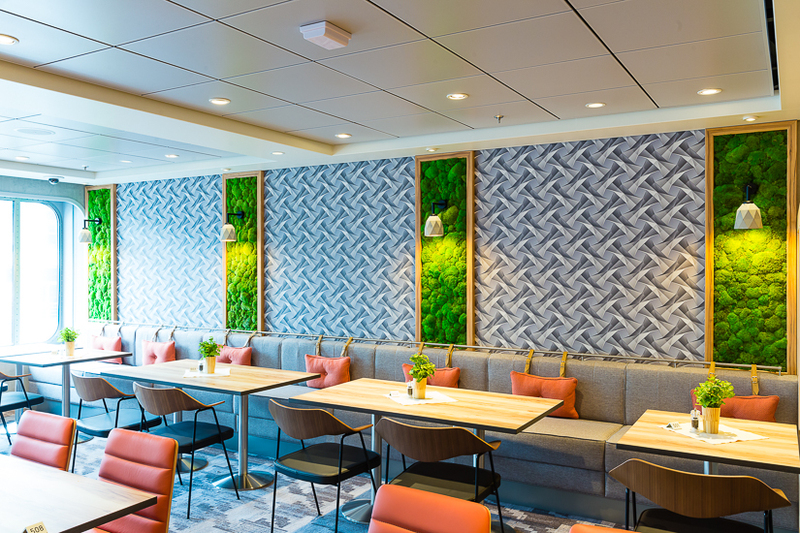 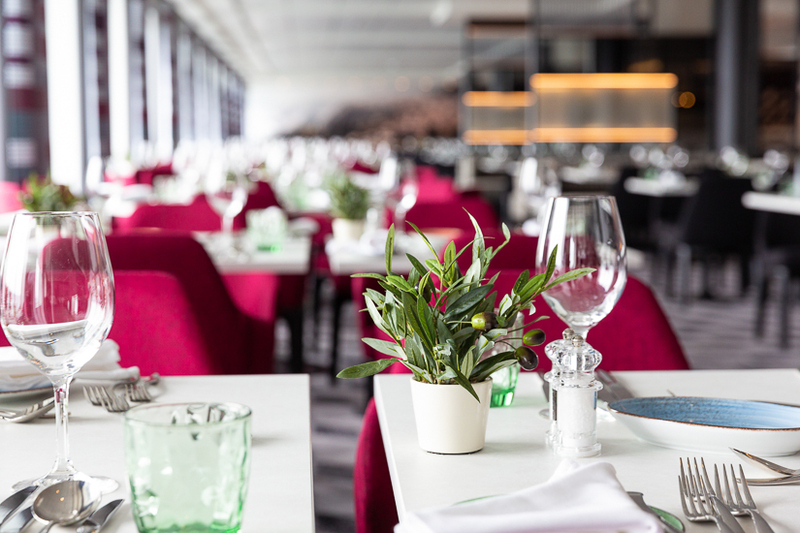 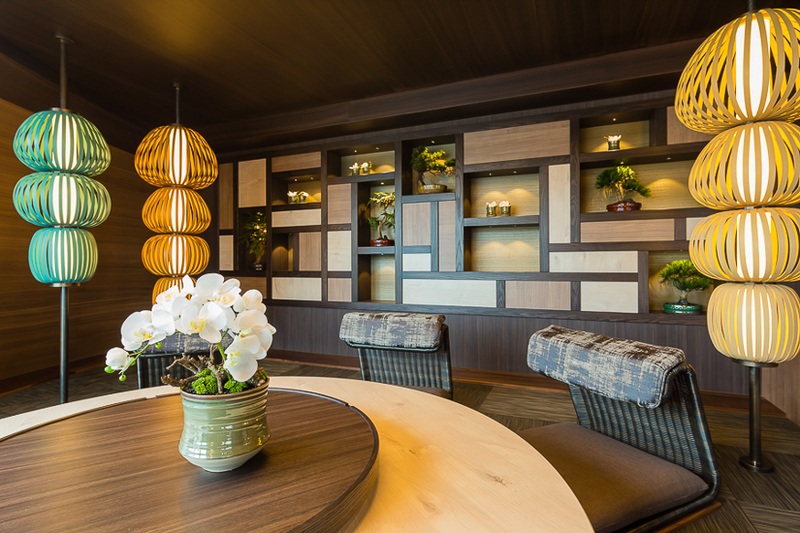 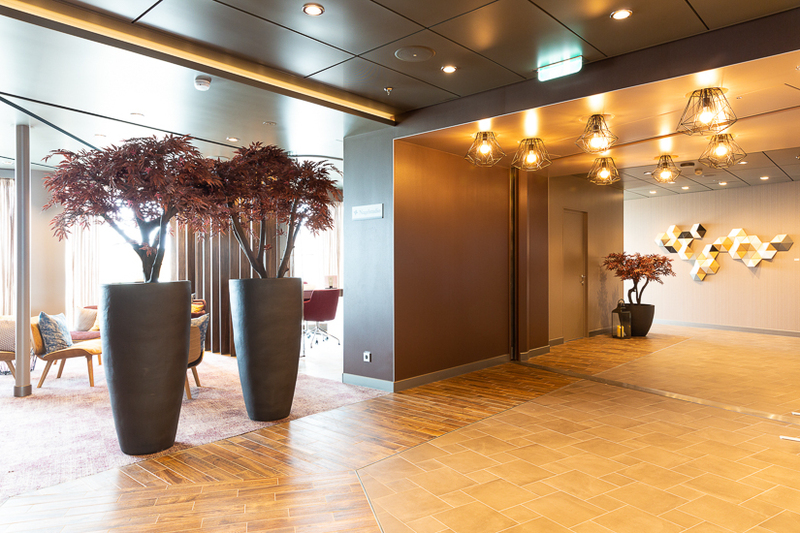 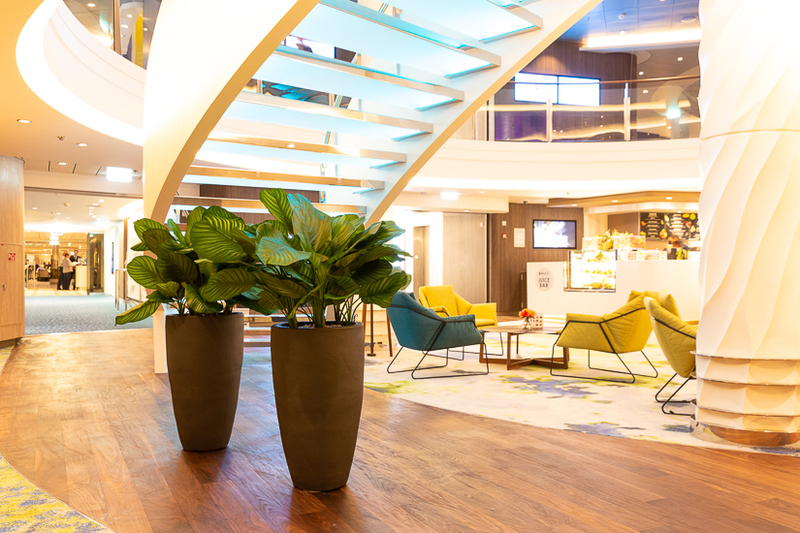 The greening of the most recently established German cruise line, is characterised by fresh, contemporary greening, particularly in all communal areas – both indoors and outdoors. 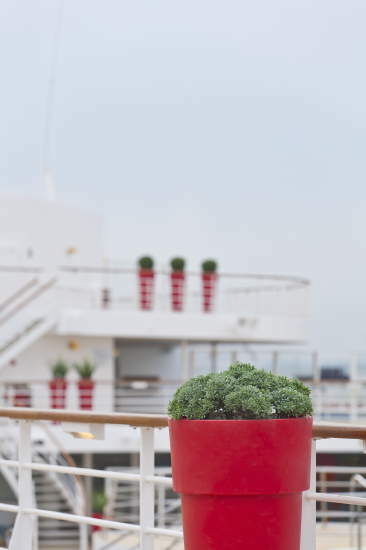 Furthermore we are asked to do the christmas decoration for the fleet. 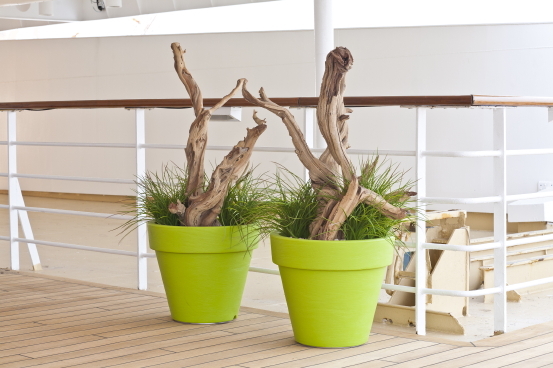 We are proud that the new ship Mein Schiff 2 has again been greened by DAUERFLORA. 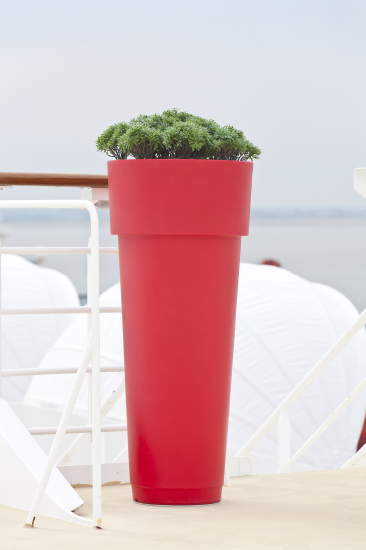 So DAUERFLORA did all ships of the TUIC fleet. 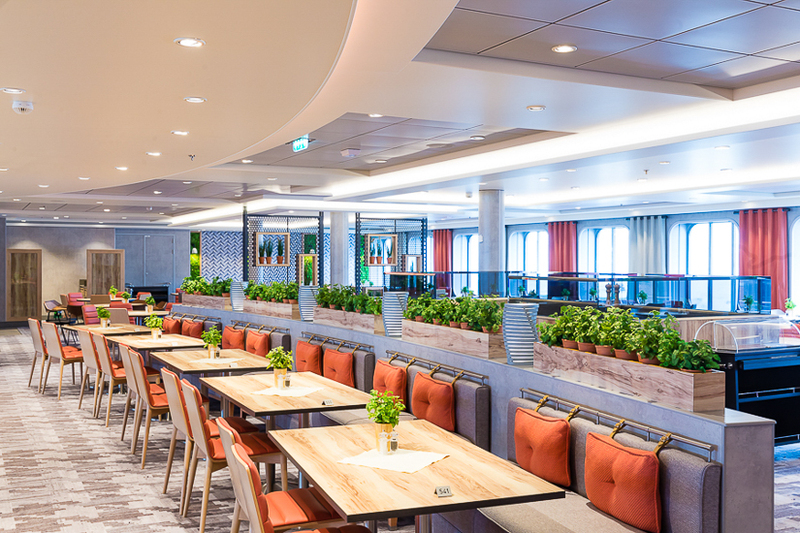 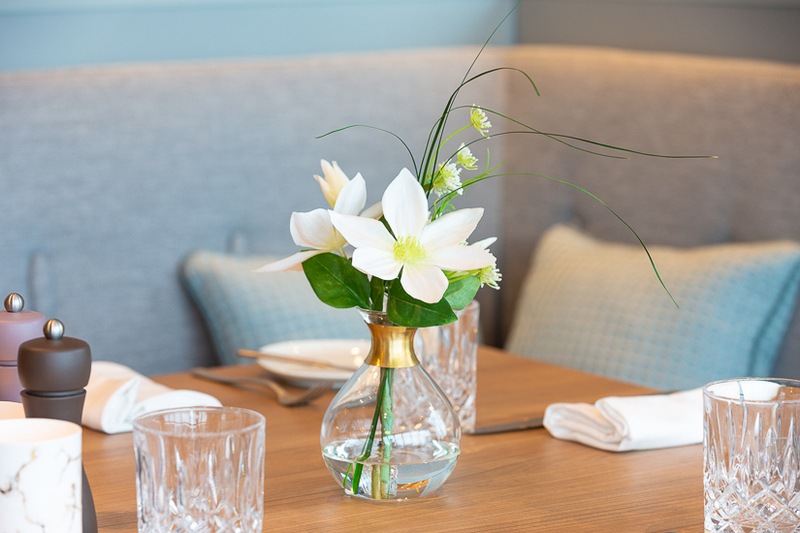 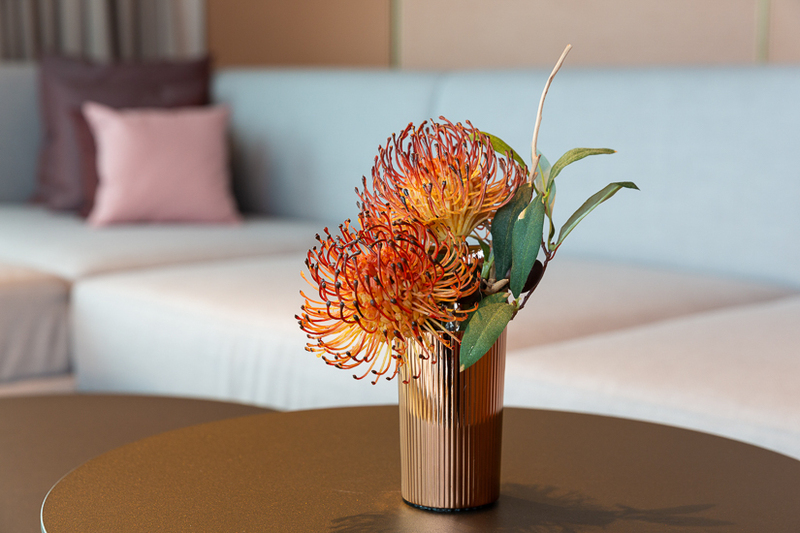 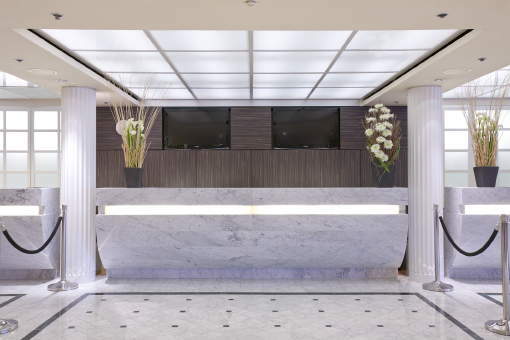 DAUERFLORA doesn’t just cater to the preliminary fit-out of the Mein Schiff fleet, it also supplies the ships with fresh, cut flowers on an ongoing basis – worldwide. 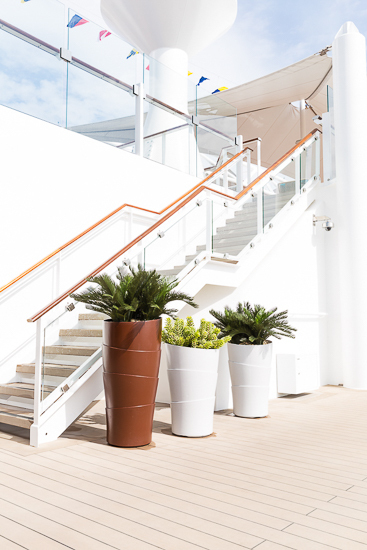 This is, above all, a logistical challenge, since the best suppliers must be selected, audited and supported in the most diverse parts and ports of the world. 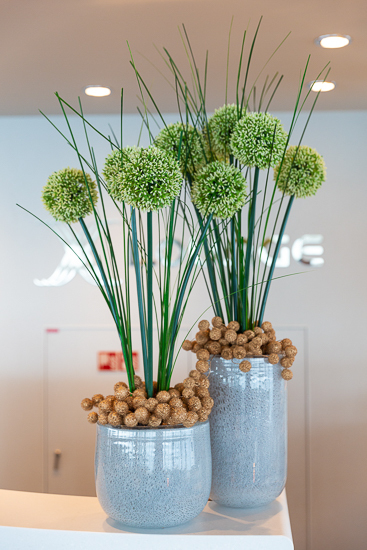 Furthermore, the DAUERFLORA specialists provide support in the selection of on-board florists. 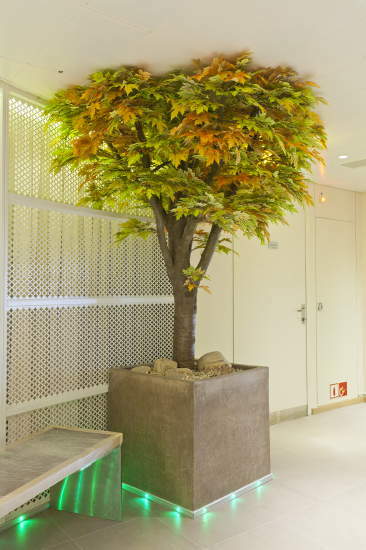 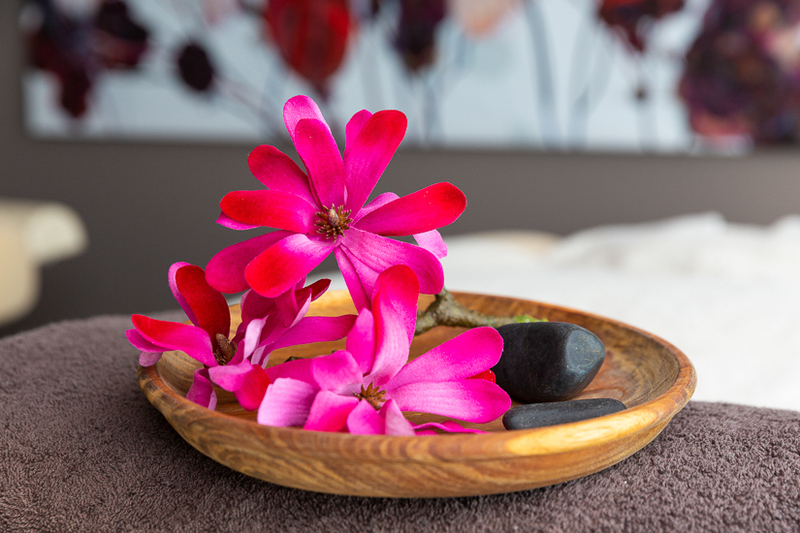 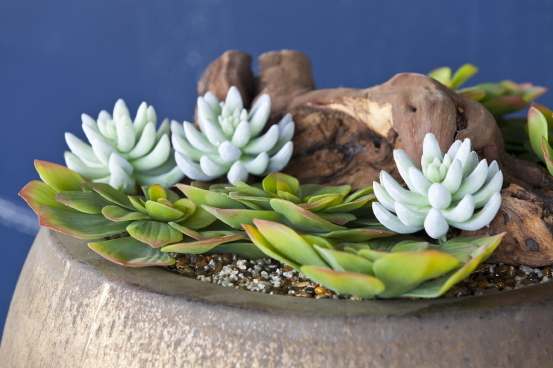 Often a single plant or a special decoration is sufficient to transform an entire area. 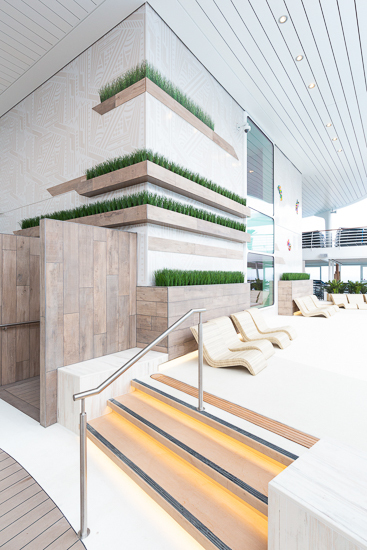 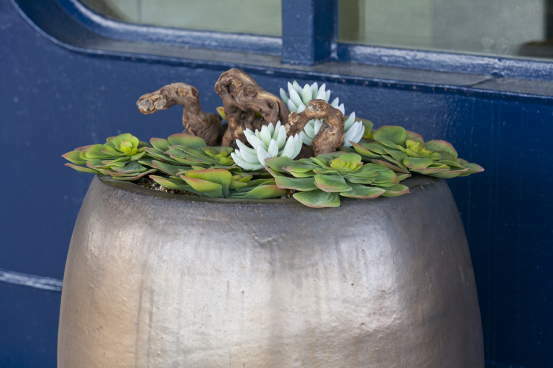 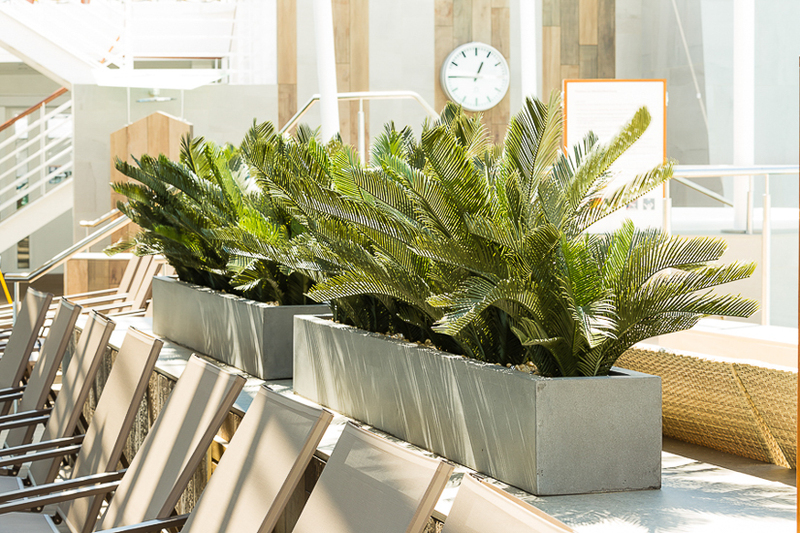 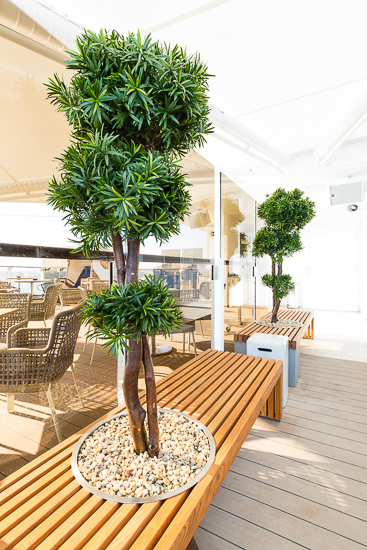 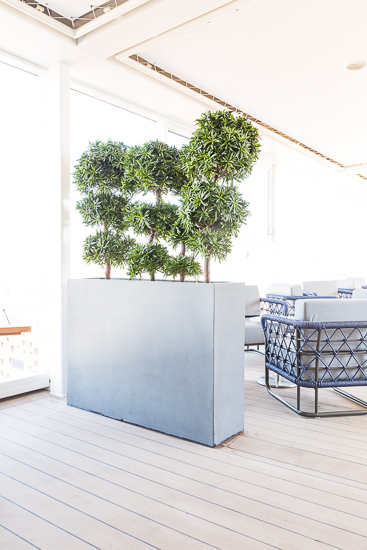 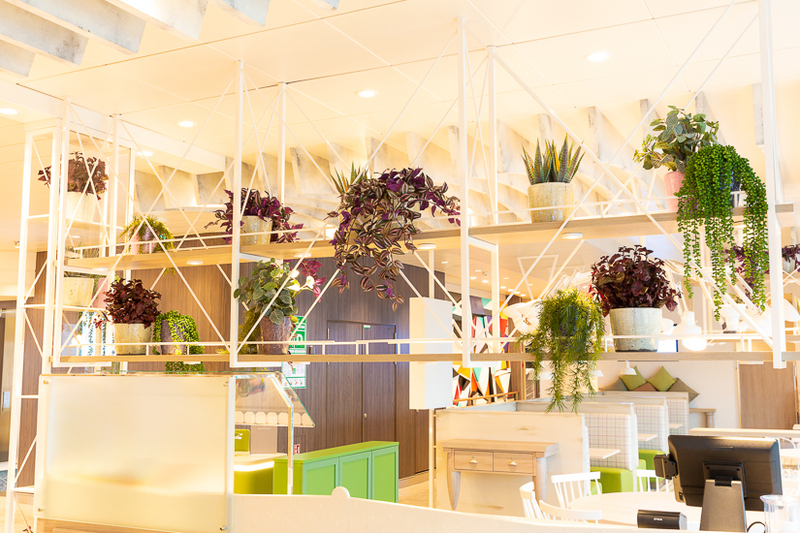 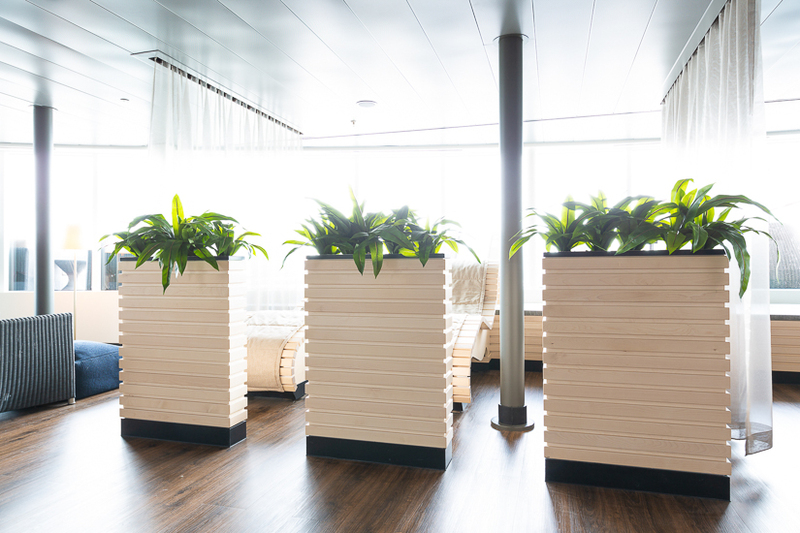 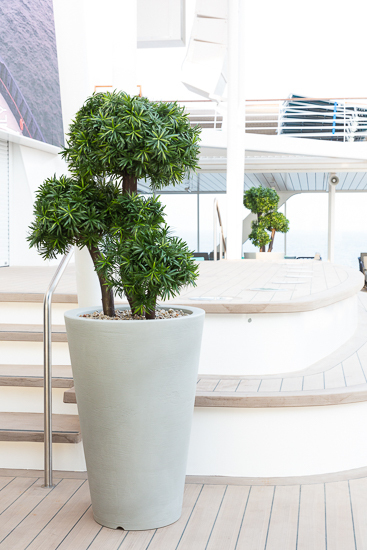 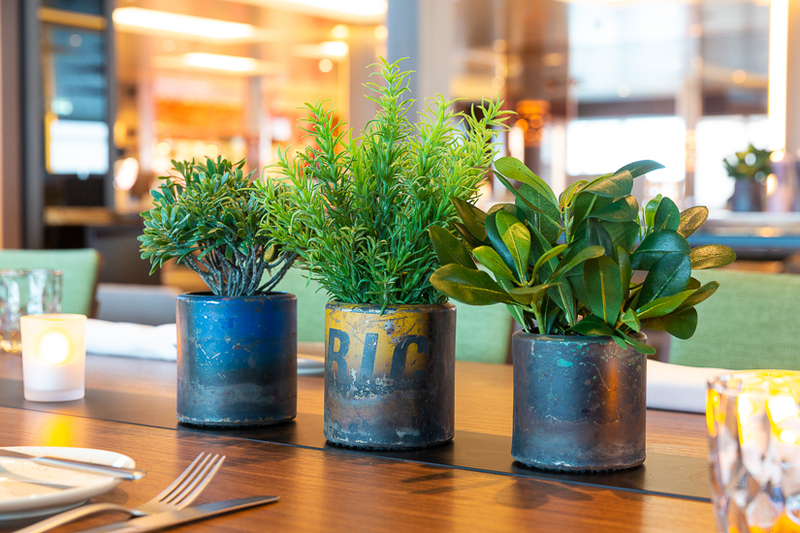 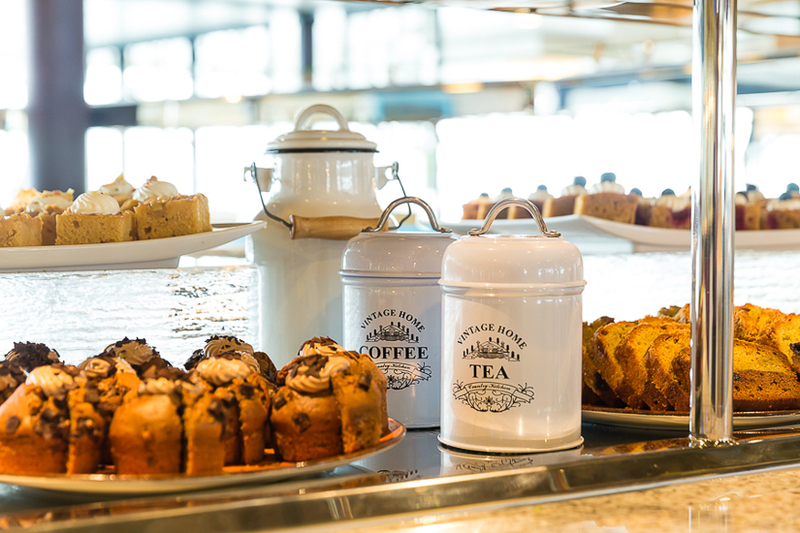 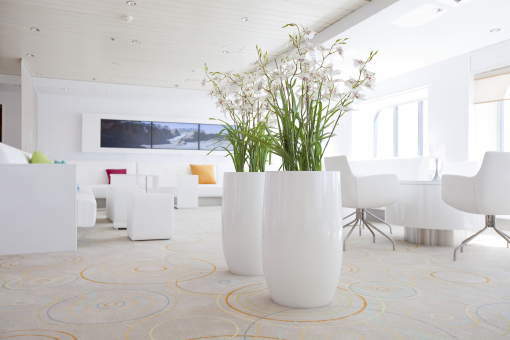 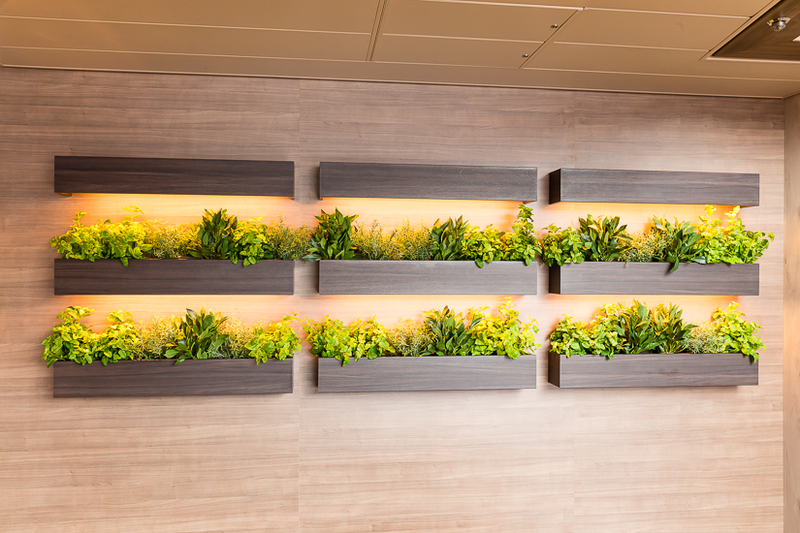 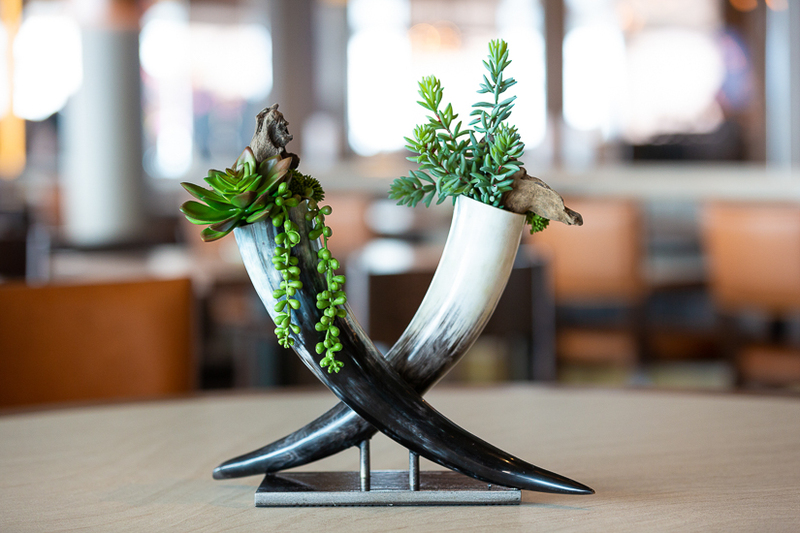 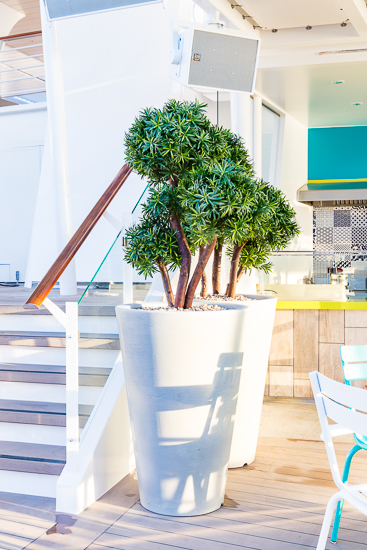 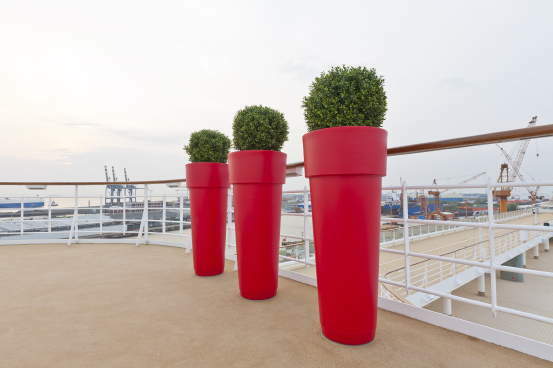 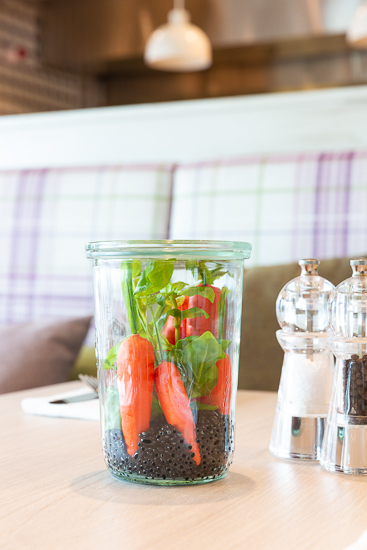 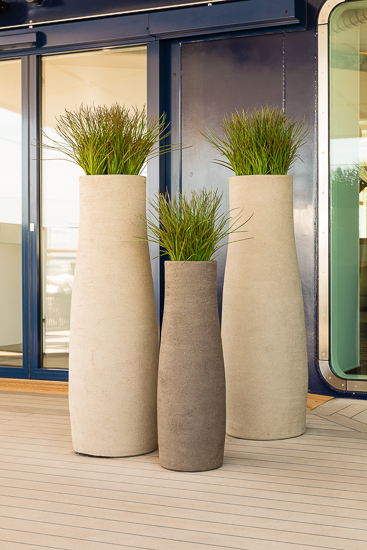 The unusual planters as well as the hand-selected plants play a special role in this regard for TUI Cruises. 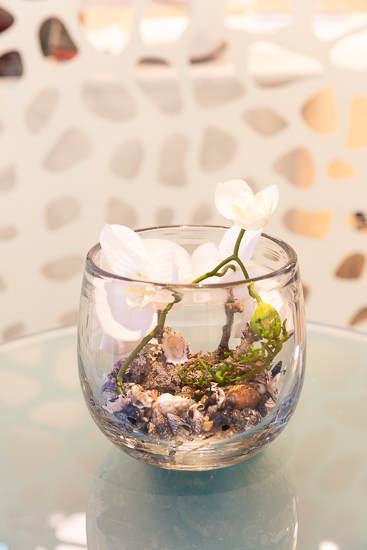 Choosing a minimalistic approach means that special highlights are a must. 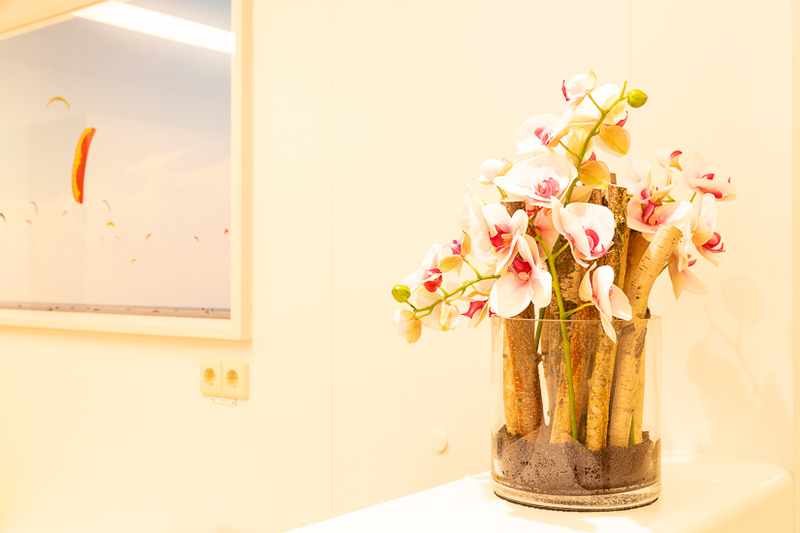 Again, DAUERFLORA is the right place to contact. 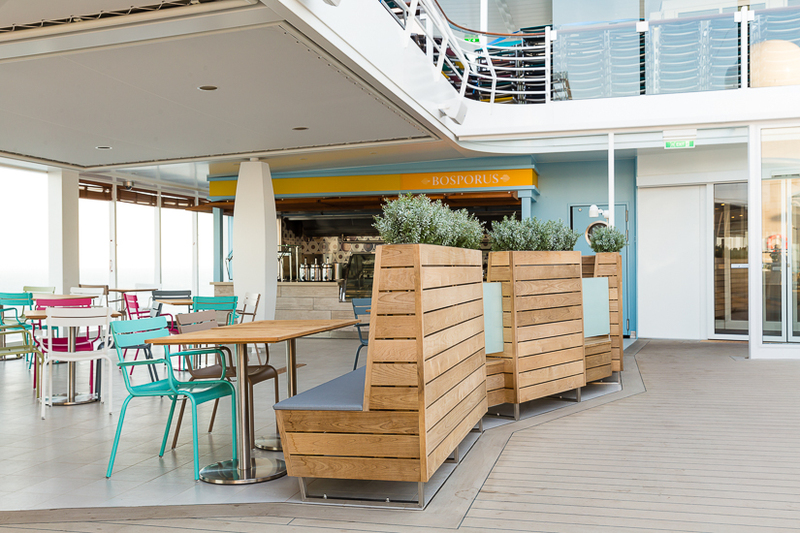 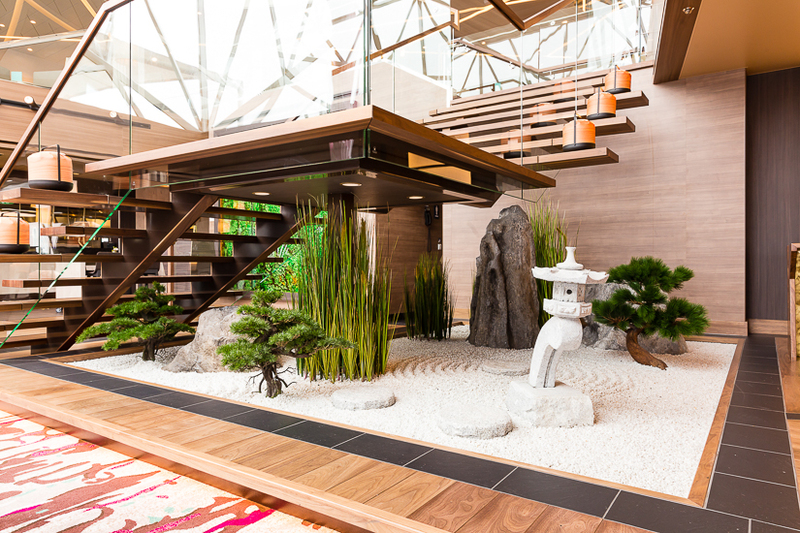 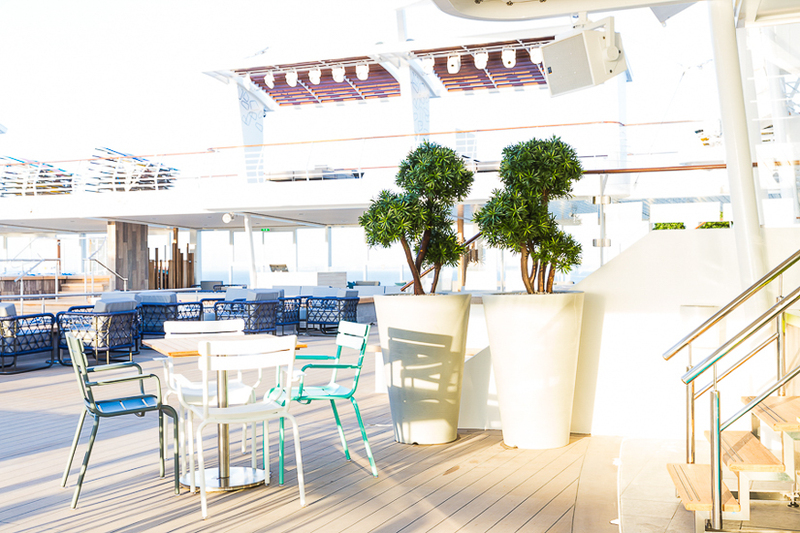 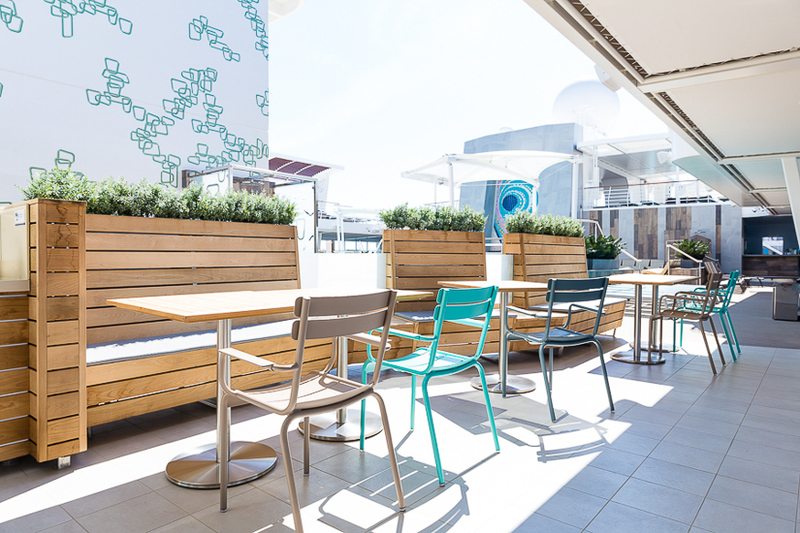 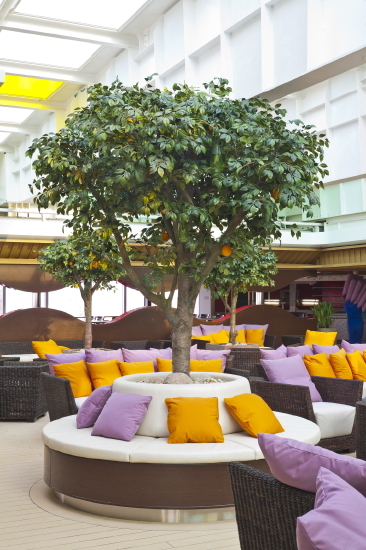 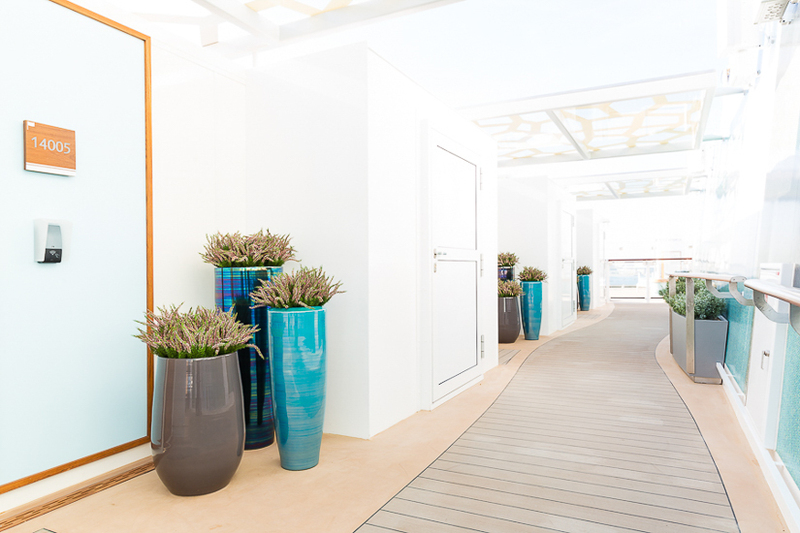 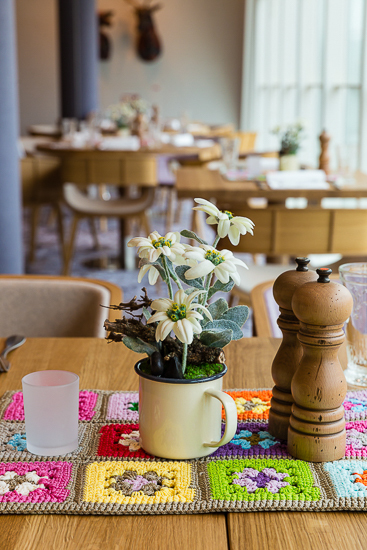 Selecting special decorations for the outdoor area is also of key importance for TUI Cruises. 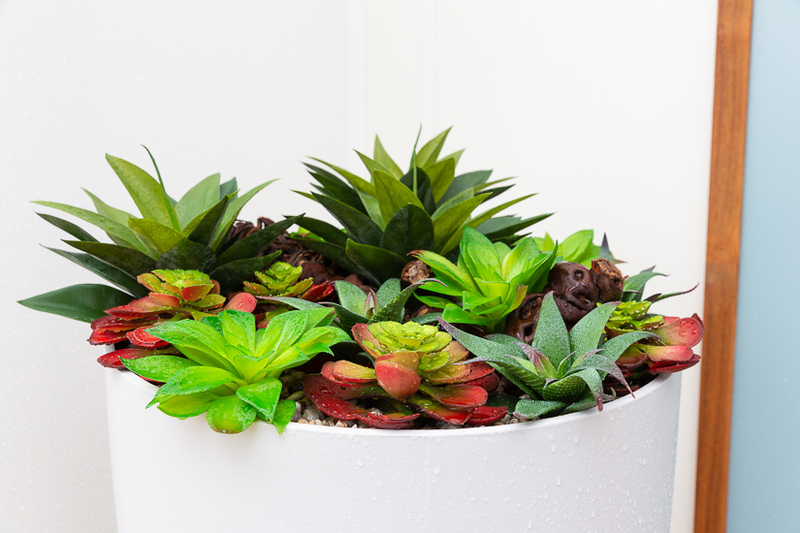 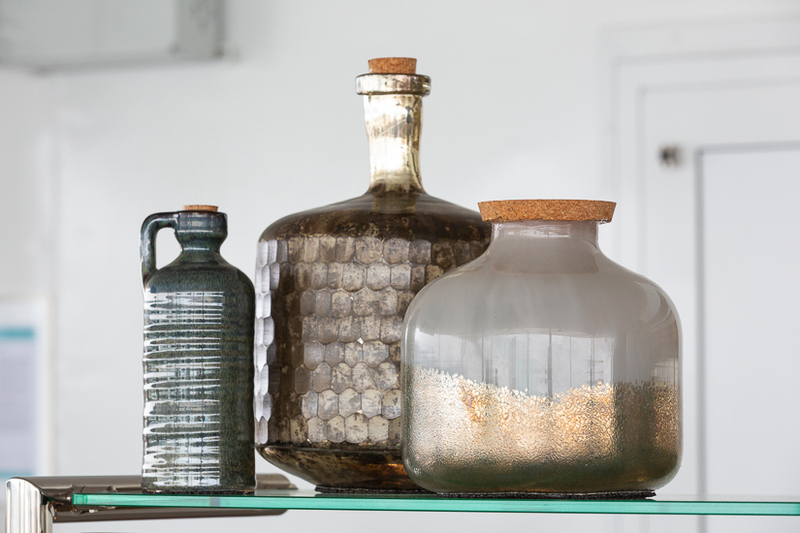 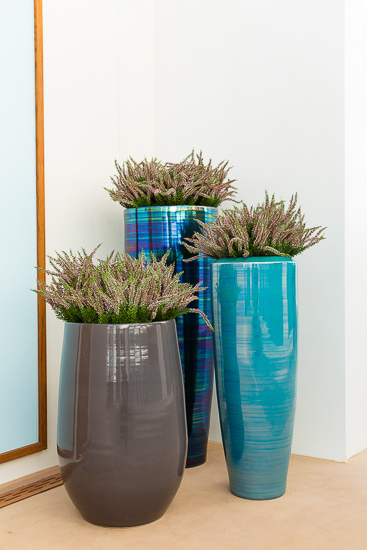 Planters in fresh, bold colours and fewer plants create true eye-catchers.